Have what the professionals have. 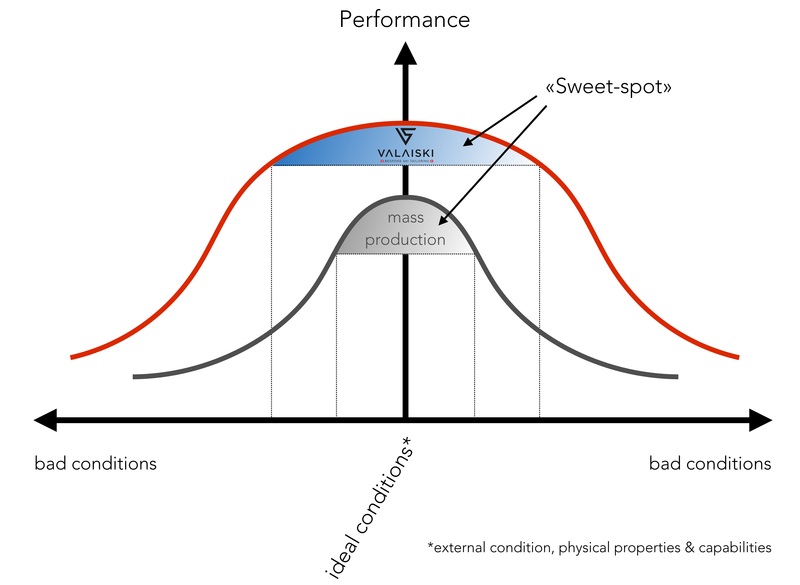 Get the best out of your skiing talent! Now you can experience the benefits of handcrafted custom fitted skis, previously only available to top ski athletes. 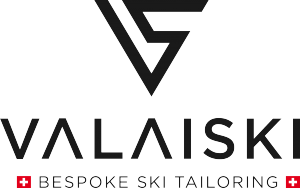 We at Valaiski bring you the opportunity to substantially improve your skiing performance with skis created specifically for you – whether you are a beginner or an expert skier. Every human body is unique, as is every skiing style. Handcrafted to suit each individual, Valaiski are tailor-made specifically to your needs and therefore like no skis you have ever experienced before. 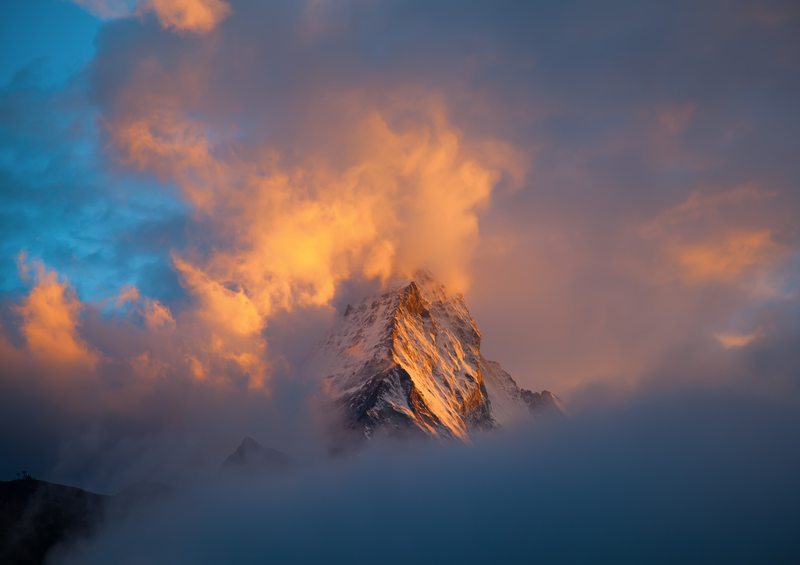 Come with us for unforgettable days in the mountains. Feel how intuitive our skis are, allowing your body and mind to be as one with the pristine white mountains. Get your perfect-fit, bespoke skis. It’s easy. Valaiski builds skis perfectly matched to the physics, capabilities and preferred skiing style of its owners. Our bespoke fitting process allows us to choose the perfect profiles, materials and construction to create your unique ski. This leads to more fluid effortless movements, more comfort and ultimately much more fun. Turns are not limited to just one set specific radius, but are fully flexible for you to precisely control what direction to set during each turn. 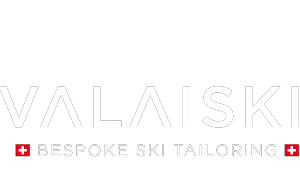 The Valaiski Bespoke Ski Tailoring is a stringent 6 step process, and provides the information required to build the perfect ski for you. At Valaiski, we bring you the heritage of Swiss ski building, together with Swiss precision and craftsmanship. Every ski is handcrafted by our Master-builders, each with more than 25 years ski building experience. A fusion of finest wood materials and latest state-of-the-art high tech materials, processes and machine technology results in skis unparalleled to any mass production ski. Valaiski are breaking the conformity of ski mass production redefining your relationship with your skis. Only the best that helps making our skis even better goes into a Valaiski, resulting in superior performance and longevity. We create your custom ski with unique sets of parameters and hand picked combinations of materials with customized stiffness/flex patterns. 10 Reasons why a bespoke Valaiski will make you discover a whole new world of winter. For over 25 years our Master-builders have created hundreds of hand-crafted skis for people all over the world. But what makes each ski even more special to its owner is the unique look they help design — which is where things get really fun. Do you dislike dragging along heavy ski gear for your way too short winter vacation? Is expensive sports gear air transport getting into your way and renting mediocre gear on site is no alternative? Limited custom series of hand crafted skis for the discerning skier. Developed, shaped and built by our artisan team supervised by the master builder.